This gentle, non-invasive technique was developed more than forty years ago to create a radical new way of healing that can help restore body balance and perfect health. The focus of upper cervical chiropractic care is the relationship between the upper cervical spine (neck) and its influence on the central nervous system and brain stem function. It is this relationship that affects every aspect of human function from the feeling sensations in your fingers to regulating hormones, controlling movement, and providing the ability to hear, see, think, and breathe. Upper cervical chiropractic care is a safe and accurate procedure that corrects the position of the top two vertebrae of the spine, the atlas and/or axis. 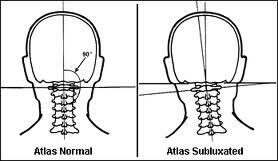 Upper cervical chiropractors specialize in adjusting the atlas (C1) and axis (C2). Misalignment of these two vertebrae is called vertebral subluxation complex, or subluxation. By correcting the misalignment of the atlas and axis, the body is able to overcome the affects or completely eliminate many different conditions and health problems, including pain and disease. The adjustment allows the entire spine to reposition itself and removes interference or compression in the nervous system. 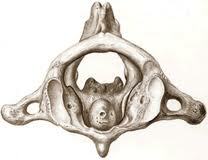 The atlas is a single, 2 oz, doughnut shaped vertebra at the top of the spine. Trillions of nerve fibers from the brainstem travel thought the opening in the atlas and flow down into the spinal column. The opening through the atlas is small so if it is moved out of position even a fraction of a degree the nerves become restricted and the messages from the brain to different parts of the body are distorted. The result is body imbalance, improper nerve function, disease and pain. Because of their location, the top two vertebrae are particularly vulnerable to injury, making it the most common location for spinal problems to occur. When a vertebra misaligns with an adjacent vertebra, vertebral subluxation, it alters normal nerve function. The misalignment causes the head to move off center from the spine which will cause the spine to compensate and shift out of its normal position. This, in turn, causes an imbalance in the body from head to toe as more weight is shifted to one side of the body than the other. Additionally, when the vertebrae shifts or tilts it can pinch or compress the nerves running through the spine from the brain to different organs and parts of the body. This compression impedes the passage of nerve impulses, or signals, causing restriction or distortion in the nerve messages therefore interfering with the body's ability to maintain a healthy state. When the vertebrae are rotated out of position, they can twist the entire spinal structure, including the pelvis, so that one leg becomes shorter than the other. Not having the atlas corrected to restore body balance is like continuing to drive a car that is misaligned. Although the tires can be replaced, unless the cars alignment is corrected, they will wear out at a much faster rate, costing more money. Over time everything is going to break down. The same is true for headaches, ADD and hundreds of other conditions known to respond well to upper cervical chiropractic care. Taking medication, doing physical therapy, utilizing medical and alternative procedures and techniques may help to improve health conditions, but if the atlas is out of alignment, the condition is not going to go away until the alignment of the atlas is corrected. This is because only the symptoms of the problem have been addressed, not the cause. In order for the body to function properly it must receive uninterrupted signals for the brain. Removing vertebral subluxation is critical to overall health because the nervous system controls all functions, organs and cells of the body. The pathway of the nervous system, within the spine, is critical for allowing these signals to be relayed accurately as they control functions throughout the entire body. When the structural misalignment of the axis and/or axis occurs, the brain stem is compressed and the transmission of messages from the brain is distorted. The result is health problems and pain that can be felt in any part of the body. The weight of the head must be repositioned over the center of the neck to relieve the problems and pain associated with the misalignment. The removal of vertebral subluxation can influence and optimize the functioning of the nervous system and can optimize functioning of all organs in the body. The chiropractor's objective is to correct vertebral subluxation and restore proper nerve function in order to activate the healing messages of the brain and allow the body to function at its maximum potential. through this network is critical for the proper function and health of every cell, organ and system in the body. If the cells, organs and tissues throughout the body are not receiving adequate nerve energy and communication from the brain, they will suffer and degenerate. The spine transmits information back and forth between the brain and the body and is protected by the spinal column. When injuries occur to spinal segments such as trauma from automobile accidents, falls, sports injuries and the birth process, the spinal vertebrae may misalign and irritate the surrounding nerves. because they are located in the critical junction between the brain and the spine. The nervous system controls and coordinates all functions in our bodies, including our immune system. Misalignment in the upper cervical spine causes irritation to the nerves passing through from the brain to the entire body below the neck. Any and all functions of the body can be affected by the spine at this level therefore creating numerous health problems. The irritation or compression on the nerves in the upper cervical spine causes the nerve to function improperly and can contribute to other nervous system disorders, poor healing of injuries, inflammation, headaches, numerous pain syndromes, decreased immune function and stress to the gastrointestinal, endocrine, and cardiovascular systems among others. The healing that happens when the atlas and/or axis are properly aligned is phenomenal. The future of your health depends on it. The adjustment to align the atlas and axis does not cure anything. However, the proper alignment restores the brain-to-body communication and allows the body the optimal conditions to heal itself. Doctor D. D. Palmer first discovered the healing power of chiropractic in the late 1800's. In 1895 a janitor named Harvey Lillard worked in Palmer's Davenport, Iowa office building. One day while lifting a heavy box, Harvey felt a pop in his neck, and slowly proceeded to lose almost all of his hearing. Dr. Palmer asked Harvey Lillard if he could examine him even though the injury had occurred quite some time before. Palmer found an unusually positioned vertebra in Lillards neck. With Lillard's permission, Dr. Palmer "racked the bone back into better juxtaposition with the bones around it." In just a few minutes, Lillard reported to once again be ble to "hear the hooves of the horses on the cobblestones street below the window." Palmer thought he had found the cure for deafness and immediately placed large advertisements in the Davenport papers. Dozens of hearing impaired people of all ages flocked to his office. However, only a few had the same result that Lillard experienced. Many did note changes in the functions of other parts of their bodies. Some noted improved digestion and elimination; more restful and sound sleep; headaches went away; as did asthma and bronchitis and allergies. Couples experiencing fertility issues conceived; and the list went on and on. That was the beginning of chiropractic care. Palmer eventually opened the Palmer School of Chiropractic in Davenport, Iowa along with his son B.J. The main focus for them was the upper cervical portion of the spine. They found through careful use and analysis of x-ray pictures of that area, they could determine the extent and direction of subluxation and thus correct it. Then in the 1930's his son, B.J. Palmer observed that when subluxation was very precisely corrected, it had a dynamic effect on the whole spine and overall health of the entire body. That discovery led to the development of the first upper cervical procedures done by hand. Dr. B.J. Palmer continued to conduct intensive research on this very specific form of adjusting the atlas and the axis. Toggle-Recoil and Knee Chest (Note: the knee-chest is not an adjustment of the knee or chest. It is simply the position the patient assumes when their upper cervical spine is being corrected). Other forms of hand adjusting have been developed by other upper cervical doctors using different approaches to correct the misalignment of C1 and C2. A few of these are Grostic, Orthospinology, Blair and NUCCA. Although all of these procedures differ in technique and philosophy, each one has a singular goal, and that is to correct the upper cervical spine. By the mid 20th century, upper cervical chiropractors began investigating instruments to correct the upper cervical spine. They include: The Life Upper Cervical Instrument by Cecil Laney, D.C., The Atlas Orthogonal Instrument by Roy Sweat, DC and the S.O.N.A.R. Instrument by Tom Elliott, to name a few. The upper cervical chiropractic field is on the verge of major innovations and discoveries as other forms of upper cervical hand and instrument adjusting techniques are constantly being developed. Upper cervical chiropractic is perhaps one of the least understood techniques by the public and by many doctors of chiropractic, too! It is not a procedure that can be learned in a single weekend seminar and put into practice on Monday morning. 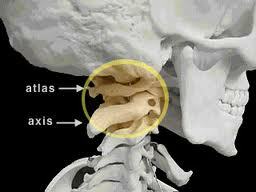 It takes many hours of study and practice to completely correct the atlas subluxation complex. It takes time to develop the physical coordination to do the adjustment. The use of the specialized x-ray equipment and accurate analysis of the x-rays takes much practice to master. The initial exam requires identifying the alignment of the atlas and axis. A standard x-ray is not effective in determining this so precision, laser aligned x-ray equipment is used since it can be adjusted for accuracy. The equipment includes a specialized frame designed to maintain it's alignment as the patient is positioned by a laser system that eliminate image distortion. The x-rays are then examined to determine if subluxation exists. Infrared Imaging is used to detect irritation in the central nervous system. The equipmentis painless and non-invasive. 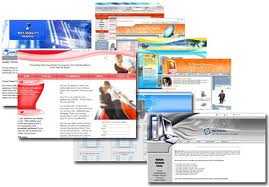 It consists of a highly sensitive computerized thermo graphic (heat-measuring) instrument that is gently rolled along the back of the neck. The instrument's scanning capabilities assist in diagnosing spinal injuries and also aid in determining whether an individual's spine is misaligned or properly positioned. If subluxation is identified (initially from the x-rays and at subsequent visits from the infrared scan) then the atlas will be repositioned either by hand or instrument. There are several techniques within the upper cervical field. How the atlas is adjusted depends on which technique the doctor has been trained to perform. The doctor applies slight pressure on one side of the neck to gently reposition the head over the center of the neck. The process feels like a light tap, a brisk thrust, or a soft massage at the side of the neck as the atlas is moved back into place. The patient feels no twisting, jerking motion or cracking of the neck. Patients are often surprised how anticlimactic the procedure is but over a period of tine they notice and feel their bodies healing. The procedure itself cures nothing. It simply restores body balance and brain-to-body communication so that the organs, limbs and tissues can resume normal functioning. The body can heal itself when the atlas and axis are precisely aligned. This is why so many different conditions respond to the same procedure. It is very important to be checked by an upper cervical chiropractor to determine first of all whether or not subluxation is present. If the atlas and axis are not properly aligned and remain out of position for years the result is degeneration of organ, muscle and cell tissue. Over time the problems could become more serious. Often pain is the last symptom to occur when a problem exists somewhere in the body. Unfortunately, many individuals wait too long to get their atlases corrected. The reason is that most individuals simply do not understand or know about the vital role the atlas plays in the health of the entire body throughout a lifetime. It is important that parents have their children checked for subluxation soon after birth and follow with periodic checks throughout their childhood as countless problems could be avoided entirely. A correctly aligned atlas is fundamental to good health from birth till the end of ones life. Upper cervical chiropractic care is most beneficial when used as part of a preventative maintenance health care program, along with regular exercise and proper nutrition. Much like a car requires maintenance such as oil changes and teeth require brushing and flossing, maintaining correct spinal alignment can greatly improve health and eliminate or alleviate symptoms. It is best to prevent, rather than treat, symptoms since symptoms are often late stages of abnormal functions in the body. Correcting vertebral subluxation can result in fewer health problems since the body is best prepared to fight off disease and maintain normal function. In the long run it is far more cost effective than treating illness, disease and pain. Although the benefits of chiropractic care can seem like a miracle, the chiropractor is not a miracle worker. If the body has undergone years of symptoms it may take time for the body to respond and heal. The process and results can vary among individuals based on a variety of health and genetic factors. No one, not even the chiropractor, can give you a timeline or promise any particular result. Your body must do the healing, the chiropractor simply removes vertebral Subluxation so that the healing can begin. Regular chiropractic care ensures that healing can continue.